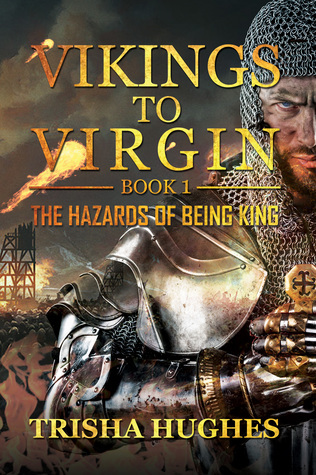 In Vikings to Virgin – The Hazards of Being King Trisha Hughes provides the reader with a pacey introduction to the many pitfalls faced by the ambitious as they climbed the dangerous ladders of royalty. It is easy to think that monarchs are all powerful, but throughout the Dark and Middle Ages it was surprisingly easy to unseat one and assume the crown yourself. But if it was easy to gain … it was just as easy to lose. From the dawn of the Vikings through to Elizabeth I, Trisha Hughes follows the violent struggles for power and the many brutal methods employed to wrest it and keep hold of it. Murder, deceit, treachery, lust and betrayal were just a few of the methods used to try and win the crown. Vikings to Virgin – The Hazards of Being King spans fifteen hundred years and is a highly accessible and enjoyable ride through the dark side of early British monarchy. Historical Fiction reviews has been selected by our panelist as one of the Top 100 Fiction Blogs on the web.